I shake a lot of hands. But for about a year now, my right thumb — my handshaking thumb — has been a mess. Some days it was frozen and wouldn’t bend. Other days, with some real effort, the joint would pop free but not without a painful zing. Either way, it hurt like crazy to shake hands. I tried to adapt. Some people got a fist bump. Others were offered my left hand. Many folks, particularly those I was meeting for the first time, probably thought I was a little too friendly when they got a hug instead of a more traditional greeting. But mainly I gripped and grinned through gritted teeth. That is, until I recently ran into a friend who has one of those weak as water, milquetoast handshakes. Even he almost brought me to my knees. Well, now my ego hurt too. So I scheduled surgery. On the thumb. The ego can’t be fixed. I kind of (only kind of) understood why Lt. Gov. David Dewhurst dodged some politically fraught decisions while he was in the midst of a difficult and ultimately unsuccessful campaign for re-election. But that campaign ended May 27 — seven weeks ago — and we’re still stuck going nowhere fast. Only the lieutenant governor can make the important committee appointments that would allow us to get to work. We haven’t had a chair of the Finance Committee (yeah, the one that should be working on the next budget) since late October. Of the Senate’s five spots on the critical Legislative Budget Board, two are vacant. And several incumbent senators who are committee chairs are leaving the Senate. There’s been no word on who will handle the important committee work that happens — or should be happening — in the interim. That badly limits preparation for the legislative session that’s now only about six months away. Even with thumb pain that would put a lesser man in the hospital, I’ve been hard at it. The property tax reform ideas that I wrote about recently have generated a lot of great discussion and I think there’s real potential to enact important changes next legislative session. We’re moving full steam ahead with the transformation of our community’s health care safety net and the Dell Medical School at the University of Texas. I’ve started hosting a series of informational forums for the candidates for Austin City Council. The first one was on transportation and we had a full room. We had almost 40 candidates attend. Two more forums are planned — on health care and water. And I’ve made some new friends. Cardboard Kirk was a hit at the Texas Democratic Party Convention. 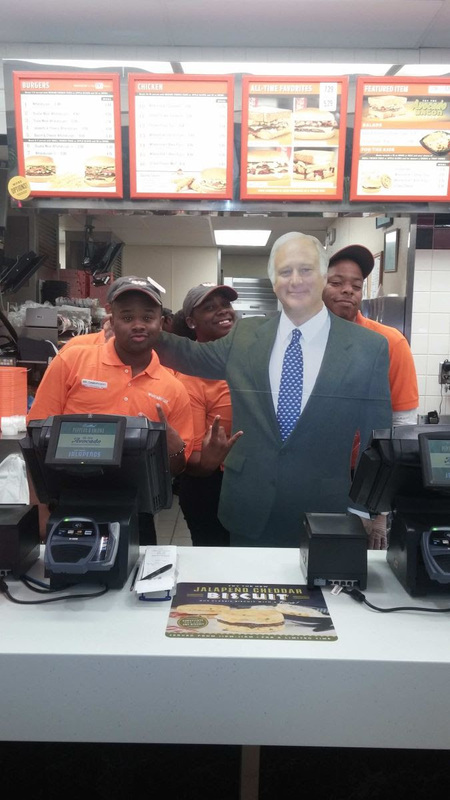 He was everywhere, including making an appearance at a Dallas Whataburger. He even has his own twitter account @CardboardKirk. And, yeah, the dude is taller than 3D Kirk. That’s right, if I’m going to engineer another Kirk, why not make a few tweaks? My annual Concert Under the Stars will be on October 2 of this year. 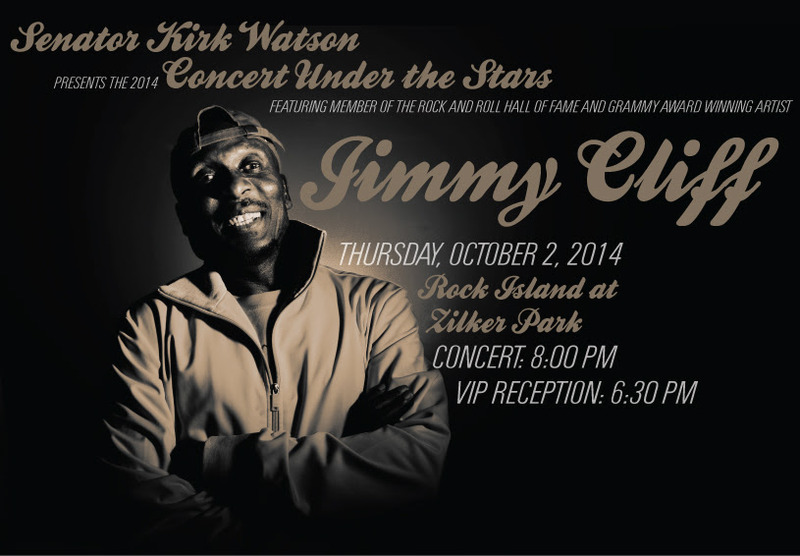 Jimmy Cliff —a Member of the Rock & Roll Hall of Fame and Grammy Award Winner—will be the featured act. He’s known for his major hits like “The Harder They Come”, Sitting in Limbo”, You Can Get It If You Really Want”, “Many Rivers to Cross and “I Can See Clearly Now”. This is always a wonderful event. We have Zilker Park to ourselves and great food, great drink, great fellowship and great music.